I was looking for an interesting door to photograph and the weather was, well just English. Sunny a few moments ago and now a very dark cloud was looming overhead. By chance I spied my downfall, a bookshop. One of the good things, ( for my pocket-book, at least) is when I am out and about, I don’t like to carry things. I want to be hands free and no matter how awesome my wicker basket trolley is, I want to roam London unencumbered. 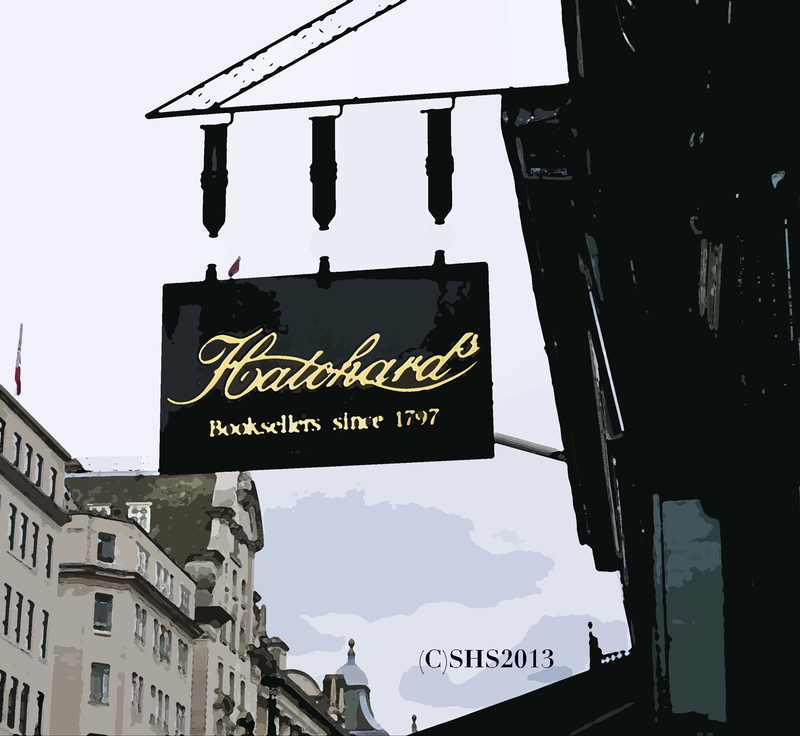 I came across Hatchard’s Bookshop and just groaned with excitement. I love the idea of walking into a bookshop that is well over a hundred years old. It is the oldest bookshop in the United Kingdom. 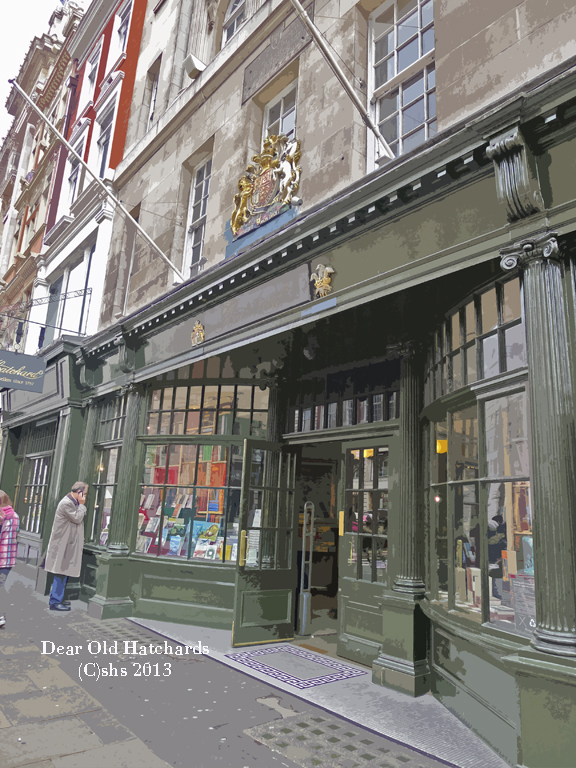 Oh heart be still… 1797.
Who else walked into this little shop in London looking for something to read? My imagination takes over. 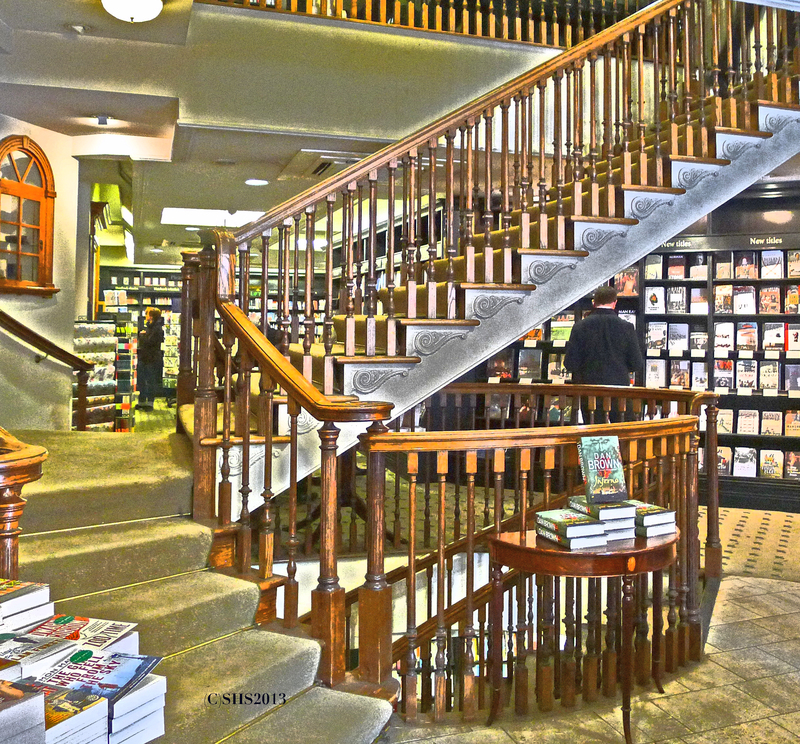 This is what a bookshop should be, a lovely old staircase leading to more books upstairs, old photographs, staff that can answer questions, and that have actually read books! A bookshop with history? What more could I ask for? I could not stop drooling. This is where Jane Austen popped in to purchase a book! Just the thought of one of my favourite authors of old, browsing shelves like I was that day…a connection through a book time warp? 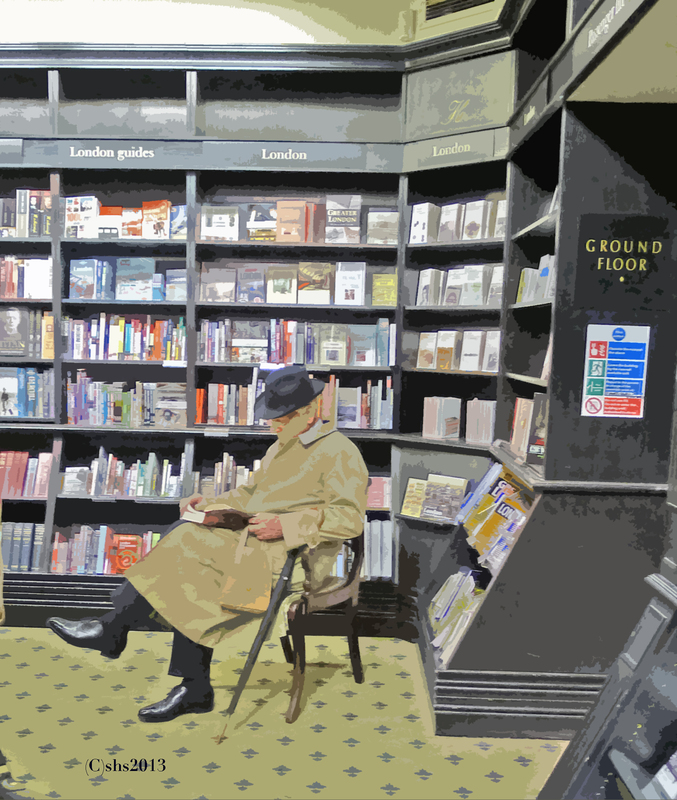 I wish… My only complaint of the shop was- where is my leather chair to sit in and spend hours reading snippets of books to bring home with me? There was a chair in the shop that day captured by a gentleman. I was far too ladylike to walk over and demand he leave that instant, ( course I did have the thought!) If you are in London and need a book to read, pop in, stay awhile, and wonder who else walked through these doors. Try to pop in around Christmas where authors linger about to sign books. Oh trolley get the dust off, old dear! Gallery | This entry was posted in England and tagged book, Bookselling, Bookshop, Christmas, Hatchard, Jane Austen, Tales From The City, Tales from the City by Susan Sheldon Nolen. Bookmark the permalink. What a lovely place to spend an hour or two. London just has so many wonderful hidden little corners! I know – so many hidden little delights. Now that is a real temptation. Just seeing the glass in the sidewalk outside the shop makes me wonder what treasures are stored beneath. And the staircase, breathtaking. I think I could spend an entire day there. Hi Fannie! I so wanted to spend years in this dear little book shop! Good thing I had to catch a train or they would have thrown me out at closing time! I understand that temptation. There’s a little book shop in Vancouver, BC,–Munro’s–that my husband must drag me out of every time we go by. The temptation of tea next door always helps.